Comms-on-the-move Ka-band mobile satellite terminal developed by EM Solutions of Australia, enabling high speed data transfer while driving in locations lacking other communications, finds emergency applications. FAA loosens rules for electronic devices during flights. Spacecom announces a manufacturer’s workaround for Amos 5 power-supply anomaly that should enable the satellite to operate for its full 15-year service life. Delayed O3b satellites should be repaired and ready for launch in March 2014. The number of commercial aircraft providing either Wi-Fi or cellular connectivity will reach 4,048 by the end of 2013, representing 21% of the global fleet, according the recent research published by IHS Inc.
China’s homegrown Beidou Navigation Satellite System will be put into its first oversea operation in Thailand early next year. GCI extends capacity agreements with Intelsat to support broadband services to Alaskan schools and medical clinics, as well as telemedicine applications for hospitals in underserved areas. Analysts forecast the Global Fixed Satellite Service market to grow at a CAGR of 5.44 percent over the period 2013-2016. Latest Ericsson Mobility Report presents key statistics and future forecasts which should provide satellite technology, especially High Throughput Satellites (HTS) , with highly promising short term opportuniteis. Telesat considers expansion after one of its new satellites helps increase revenues in third quarter. NASA will rely on hosted payload to continue some of the long-running Earth-system observations the agency took over from the National Oceanic and Atmospheric Administration (NOAA) in April. Astrium enters into partnership agreement with IHS to deliver satellite imagery and services for intelligence analysis and reporting. MTN Communications experiences a surge in demand, claiming customers increased demand for additional bandwidth on its network by 61% since 2013. Astrium Services is expanding its global VSAT coverage following the signing of new separate Ku-band capacity agreements with SES and Eutelsat. UltiSat signs multi-year contract with Eutelsat for capacity on EUTELSAT 5 West A to provide C-band service to nongovernmental organizations (NGO) in Africa. Having recently signed a new deal with MTN Communications to enhance its onboard suite of connectivity options for passengers and crew, cruise ship operator Pullmantur executive explains the need for satellite. Signalhorn is selected for ht operation and management of a pan-African network for one of the world’s leading providers of offshore service vessels in the global energy industry. SimbaNET uses iDirect’s Evolution platform to advance Nigeria-based satellite network. Sierra Nevada Corp.’s Dream Chaser space plane skids off runway in test flight landing as landing gear collapses. Arianespace reschedules SES, Hispasat and ESA’s launch dates, with consent of its customers. High speed satellite broadband provider ViaSat defies the naysayers who have stigmatized satellite communications as impractical, flawed, and slow. Comtech Telecommunications Corp is awarded $1.4 million for communications jamming high-power amplifier systems. Dish and Southwest start in-flight iPad lending program for on-demand entertainment on Wi-Fi enabled Southwest flights..
Maxwell Technology, in partnership with Cable Wise, expands satellite internet to Northern KwaZulu-Natal. Global Maritime VSAT market expected to grow at CAGR of 7.71 percent between 2012 and 2016 according to new Research and Markets report. Data product differentiation beginning to become important again in the Earth Observation market. Eutelsat and Es’hailSat announce that their jointly owned EUTELSAT 25B/Es’hail 1 satellite launched August 29, went into commercial service October 29. Astrium to build new satellite for DIRECTV. Hundreds of space professionals from developing economies receive space training in China, including Pakistan, Nigeria, and Bolivia. Ball Aerospace & Technologies’ Green Propellant Infusion Mission is selected to test advance form of thermal insulation that could become standard on future satellites and cryogenic subsystems. NASA’s Lunar Laser Communication Demonstration makes history, successfully transmitting data from lunar orbit to Earth at a rate of 622 Mbps. ESA approves sale of Artemis telecom satellite to Avanti. Measat CEO says company is open to partnerships. ILS Proton successfully launches the Sirius FM 6 satellite. Gogo signs deal with Japan Airlines to deliver in-flight connectivity. Oil and Gas companies – will High Throughput Satellites change the equation? In spite of Hurricane Sandy, CCW + SATCON NY show will go on at the Javits Convention Center in New York City November 14 – 15. Ariane Flight VA210 delayed 24 hours due to high winds aloft. Newly release Euroconsult report anticipates that 1,075 satellites will be built for launch worldwide over next 10 years. Dish Chairman Charlie Ergen says Dish and DirecTV “have to consider” combining under pressure of stagnating growth. U.K. Chancellor announces additional £60 million investment in European Space Agency over next five years. Northrop Grumman is working with U.S. Air Force to develop more affordable military satellite communications. Boeing unit in Colorado Springs gets $49.4 million defense contract for software engineering and other services for a military communications satellite. Sixth 2012 Ariane 5 launch imminent – to loft EUTELSAT 21B and Star One C3 satellites. South Africa-based Blue Sky Satellite Communications planning launch of pre-paid satellite internet services across Africa in January 2013. Obama administration imposes sanctions on Iranian officials accused of blocking internet access, mobile phone lines, and satellite signals. SSPI Celebration of Future Leaders and a Navy Seal to be highlights of annual Gala dinner in Manhattan. 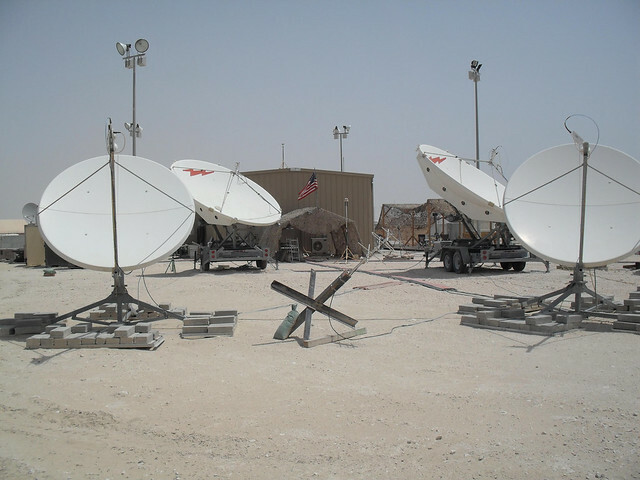 Naval Air Warfare Center to procure up to 80 Ku band Satcom On The Move terminals and 80 Ka-band conversion kits. Air Force Space and Missile Systems Center awarded as many as 17 contracts worth up to $84.3 million to help it explore concepts for a future generation of protected military satellite communications architecture. NASA to placed pollution-monitoring sensor on a commercial communications satellite for launch in 2017. Hills Holdings of Australian wins a multi-million dollar four-year contract to provide the Australian Department of Foreign Affairs and Trade’s satellite network in 51 countries. NewCom International partners with U.S. Agency for International Development to bring Internet to schools in violence-prone regions of Columbia. Assured access to cyberspace and space a priority for Obama’s defense strategy. DirecTV considers potential acquisition of Vivendi’s Brazilian telecom unit, GVT. Visiongain analysts report $755.8 million value for maritime satellite market in 2012, with potential growing during the next decade. NASA details robust approach to dealing with deluge of counterfeit parts. NASA explores options for larger payload fairings to increase cargo carrying capacity of its Space Launch System heavy-lift rocket now in development. New Russian satellite will relay International Space Station communications; U.S. upgrade to ISS systems adds SMS and email “Spot the Station” service. O3b and Harris CapRock plan strategic marketing alliance to provide ultra high-speed, low latency exploration and production communication capabilities for Oil and Gas market. KVH is presenting three-part free webinar series, “SATCOM 101″ to help explain the sometimes confusing world of maritime satellite communications beginning November 13, followed by webinars in December and January. TCS one of 20 awardees on $10 billion Global Tactical Advanced Communications Systems and Services contract for DoD agencies. 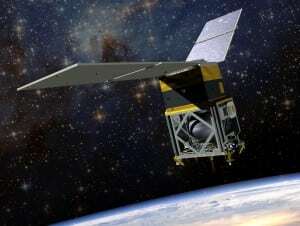 First Azerbaijani satellite to be launched in February 2013. Inmarsat sees growing demand for data services at sea. KVH opens office in Japan as customer base in the region expands. 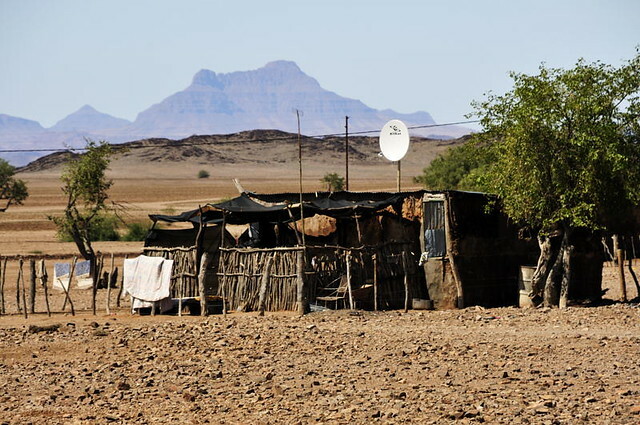 Gilat Satcom launches new VSAT service to provide Southeast Africa with high-bandwidth Internet connectivity. Russian satellite helps Iran bypass sanctions. Proton launch puts two Russian satellites into orbit. Loral Space closes sale of Space Systems/Loral to MacDonald, Dettwiler. Hurricane forecasting could be severely degraded under Obama administration’s plan for sharing spectrum. Telespazio signs $200 Million deal with Italian Ministry of Defense as prime contractor to build high-resolution Earth observation military satellite system. Astrium wins contract to supply telecommunications products for NewSat’s Jabiru-1 satellite, to be built by Lockheed Martin. Avanti launches Pay-As-You-Go satellite broadband service across Europe, offering a high-speed Internet connection with no monthly subscription fees. RRsat signs contract with English Club TV Network Limited for distribution of its TV channel to Asia via the MEASAT satellite. SES to present newest developments in the satellite industry with series of seminars accompanying the International Broadcasting Convention in Amsterdam, Netherlands, September 7-11, 2012. SES announces that satellite has become the leading TV infrastructure in Europe, reaching approximately 84 million European households, and more than 1200 HD channels are available worldwide on the SES fleet of 50 satellites. United Launch Alliance completes crucial milestone in development and certification of the Atlas V launch vehicle for human spaceflight. ViaSat to provide UHF satellite network with new Integrated Waveform for more efficient use of satellite capacity for the Commonwealth of Australia Department of Defence. iStreamPlanet and Haivision announce availability of the Go-Live Package live streaming and cross platform video playback solution for the London Olympics, to deliver premium HD video experience over the Internet. ESA selects e-GEOS to process satellite data from the Matera Space Center and support the operational activites of the Sentinel system. Russia invites India to participate in development of Glonass satellite navigation system. DigitalGlobe satellite imagery reveals a Syrian neighorhood ablaze, caused by the civil war violence. Honeybee Robotics delivers hinges for deploying solar arrays to the National Space Organization in Taiwan for the new FORMOSAT-5 imaging satellite. Russia’s projected manned spacecraft capable of flights to the moon will not fly until 2018 according to head of Russia’s space agency, Roscosmos. ATIS announces work effort to find technologies to provide backup to GPS for time and frequency transport and delivery for communications systems, needed because of susceptibility of GPS system to interference and jamming. Three-part NSR webinar to examine the value of each maritime target market, including its relative demand in terms of bandwidth and in-service units. Proposal for privatisation of AsiaSat fails in vote of independent shareholders and cannot be put into effect. Thuraya launches roaming service in USA in partnership with T-Mobile. U.S. Navy’s first next-generation narrowband tactical satellite communications system, MOUS, has completed on-orbit testing. 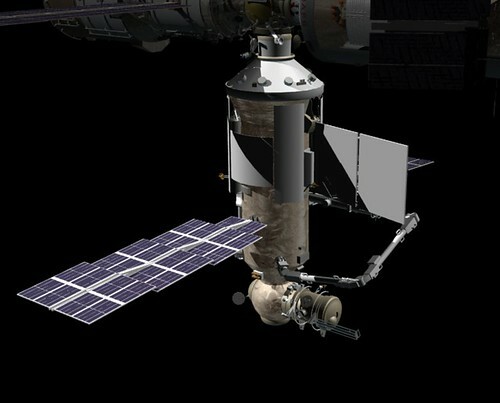 Launch of Russia’s “Nauka” multirole laboratory module for International Space Station set back from end of this year to end of next year due to technological and organizational problems at the Khrunichev Space Center. NASA to launch and deploy large inflatable heat shield aboard rocket travelling at hypersonic speeds to demonstrate lightweight yet strong inflatable structures for entry into atmospheres of Earth or other worlds. Intelsat announces Panasonic Avionics Corporation has contracted for as much as 1Gbps of capacity on the Intelsat EpicNG satellite platform to be used in delivery of aeronautical consumer broadband and live TV. Two satellite passengers, HYLAS 2 and Intelsat 20, for Arianespace’s next heavy-lift Ariane 5 mission scheduled for August 2nd, are undergoing final preparations at Spaceport in French Guiana. ISRO ready to ship GSAT-10 communication satellite to Kourou Spaceport in French Guiana in preparation for September launch. NASA selects SpaceX to launch the National Oceanic and Atmospheric Administration’s Jason-3 spacecraft in December 2014 aboard a Falcon 9 v1.0 rocket from Vandenberg Air Force Base. Globalstar beginning to turn around after resolution of litigation over delayed satellite deliveries which caused troubles meeting employee count required by agreement to relocate to Louisiana from California. Ball Aerospace & Technologies STPSat-3 spacecraft built for U.S. Air Force will host five payloads and a de-orbit module when in launches in 2013. TeleCommuication Systems receives $11.3 million in additional funding to support deployed communications systems for U.S. Marine Corps. 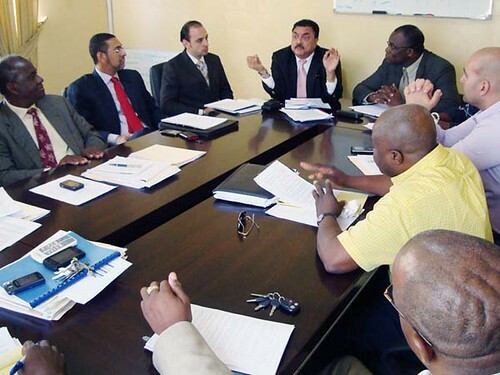 Gilat Satcopm establishes new Point of Presence facility in Sierra Leone. Satellite operators led by Eutelsat, Intelsat and SES, complete process of adapting earth station information tables to implement Carrier ID in time to guarantee quality of DVB satellite transmissions of the London Olympics. India’s Isro enhancing capacity in terms of rockets, satellites, and ground-based systems to meet growing demand for enhances services in communications, broadcasting, remote-sensing and navigation. Launch of first Azerbaijani communication satellite is put off for January-February 2013. NovelSat launches NS3000 modem that can achieve data rates of up to 716Mbps with bandwidth increases of between 20 and 50% over DVB-S2 alternatives. Barger Corporation announces purchase of one of largest and most expensive non-military communications satellites from the European Space Agency, at 19,000 lbs., of the Envisat class, and costing $2.1 billion. Soyuz spacecraft launches from Cosmodrome in Kazakhstan with NASA, Russian, and Japanese astronauts bound for International Space Station. ESA takes control of MSG-3 satellite following successful series of in-orbit tests. SES, Northrop Grumman, and NATO join forces for NATO’s Joint Intelligence, Surveillance and Reconnaissance system. European Broadcasting Union gives more than 70 EBU Members up to eight MPEG 4 decoders each to ensure flawless access to 12 HD multilateral signals for the London Olympic Games, saying goodbye to SD signals. Canadian Defence Department tests Astrium Services’ AirPatrol satellite communications system for coastal surveillance system. NASA’s Launch Services Program selects United Launch Alliance’s Delta II launch vehicle for three future missions; Orbiting Carbon Observatory-2, July 2013; Soil Moisture Active Passive, October 2014, and Joint Polar Satellite System-1, in 2016. Liberty’s Malone plans to spin off Sirius XM and DirecTV. July-August 2012 issue of Satellite Executive Briefing highlights spirited debate at GVF Conference on Broadband Maritime. According to Christoph Limmer, requests for information on satellite TV are flooding in. “Quite often we get asked if satellite can really reach more homes than other infrastructures like cable or terrestrial. The answer simply, is yes. Unlike DTT (Digital Terrestrial Television) or cable which are ground based infrastructures and normally roll-out in certain areas only; satellite has no limitations in achieving 100% population reach.” Digging cable is costly and time consuming and rolling out DTT network infrastructure is facing similar challenges. However, one must first assume there is electrical power availability and somebody to pay for the service. Advertiser-supported content needs an audience that’s able to pay for their products/services. What I think needs to happen is the satellite operators take the hit and get the service going and wait for the market to catch up. The developing world needs our help. Get on with it! Global satellite machine-to-Machine (M2M) service revenues to reach $1.7B by 2017 according to new Gobal Industry Analysts report. U.S. Defense Information Systems Agency wants to lease a single commercial satellite for 15 years for $440M, meeting 78% of U.S. Central Command’s requirements in Afghanistan and Iraq while dramatically cutting costs. Cheetah “Morale Satellite” system provides free phone calls home and fast Internet connectivity for soldiers in Afghanistan. Comtech receives $1.2M satellite ground station equipment order from a large integrator for a military requirement in a Latin American country. Senators Pat Roberts (R-Kan) and Ben Nelson (D-Neb) in an open letter ask fellow senators to call on FCC to stop LightSquared from deploying its nationwide LTE network until it proves service does not interfere with GPS services. Space Data Association announces full operational capability of its Space Data Center, established by commercial satellite operators to improve the safety and efficiency of space operations. United Launch Alliance Atlas V rocket carries National Reconnaissance Office’s L-34 secret satellite payload aloft from Vandenberg. Arianespace to launch ASTRA 2E satellite for SES ASTRA in 2013. New way to cool military satellite payloads to be tested by Northrop Grumman Corporation with an experiment on the International Space Station. Newtec extends invitation to all to join their 2011 Business Seminar “How to Keep Satellite Services Profitable” in Miami May 11 and 12, with first day capped by leisurely cruise and dinner. ITT successfully concludes Critical Design Review for imaging payload for the Worldview-3 Earth observation satellite being built for DigitalGlobe. Iridium excecutive states that the biggest opportunity ever for placing hosted payloads aboard telecommunications satellite system (the 66-satellite next generation Iridium system) may be lost because of slow-moving government bureaucracies. Gilat’s SkyEdge II Broadband Satellite Network selected by Telecom Namibia to provide hundreds of locations throughout Namibia with VOIP and Internet services. New satellite to be launched from Kodiak Alaska, TACSAT-4, will carry UHF payload in highly elliptical orbit that will allow soldiers to communicate from deep canyons rather than out in the open, saving lives, though only available 6-7 hours a day. Advantech Wireless signs contract with Hoje Telecom of Brazil to provide VSAT upgrade hub, RF equipment, and more than 1,000 remote terminals. Globalstar Europe Satellite Services, in conjunction with Globalstar Avrasya of Turkey, provisioned to cover all of European sub-continent as well as northern Africa, Middle East, and most of Mediterranean and eastern Atlantic ocean maritime region. U.S. Air Force awards Integral Systems $6.99M contract for Rapid Attack Identification, Detection, and Reporting System to provide near real-time detection, characterization, geolocation, and electromagnetic Interference reporting for critical satellite communication systems. Dynetics and Pratt & Whitney join Rocket City Space Pioneers team competing for Google $30M Lunar X Prize to be awarded to first team to build and launch to the moon a privately funded spacecraft capable of completing a series of exploration and transmission tasks. MDA signs contract worth more than $40M to provide technology support for satellite communications and information service for a confidential customer. 92,708 total registered attendees for 2011 NAB show in Las Vegas, with 25,691 international attendees and 1,314 news media, beating 2010 final attendance of 88,044. German aerospace contractor approved for taking lead role in designing European data relay satellite to promptly relay images of Earth from orbiting spacecraft back to ground stations. 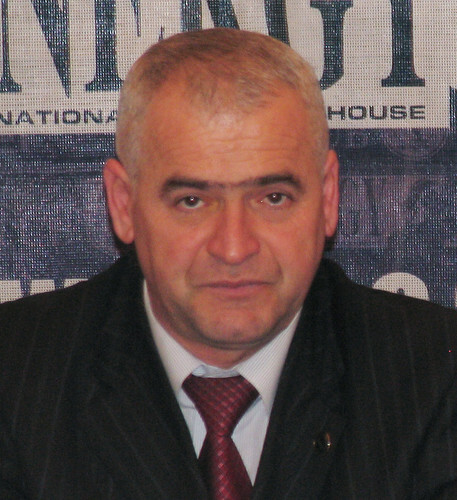 Top Azerbaijani official says country will launch communications satellite in 2012. Russia plans to test a next-generation spacecraft, build a new cosmodrome and even consider a manned mission to Mars after 2035. China Academy of Launch Vehicle Technology announces launch of eighth satellite of the Beidou-2 global navigation system aboard a Long March 3A rocket on April 10, 2011. RRSAT grows global broadcast network to over 590 channels featuring SD, HD, and 3D formats and increased number of playout centers in Israel and U.S.
Arqiva will launch dedicated DVB-S2 MPEG-4 shared platform at Los Angeles teleport, affording broadcasters and mobile providers access to 100% of U.S. cable headends via SES WORLD SKIES’ AMC-10 satellite. Raytheon leads team bidding on U.S. Air Force Launch and Test Range System (LTRS) Integrated Support Contract (LISC). Canadian Radio-television and Telecommunications Commission approves merger of XM Canada and Sirius Canada. Intelsat’s New Dawn African satellite rescheduled for April 22 launch. SES ASTRA Platform Services opens new playout centre near Munich, significantly expanding capabilities to provide broadcasters and production houses around the world with state-of-the-art playout and platform services. Harris to deliver shipboard satellite communications terminals to Canadian Navy. SES WORLD SKIES announces AMC-3 C-band capacity deal with Weigel Broadcasting to deliver new digital ME TV channel to broadcast stations and viewers across U.S.
GMPCS unveils IsatTruck vehicular satellite phone package. TeleCommunications Systems selected as participant in FCSA contract allowing government agencies to procure services from commercial satellite services providers. NSR press release – Revenues for Broadband Satellite Satellite Services to Exceed S$9 Billion by 2020. GlobeCast selects Eurobird 9A to launch HD distribution platform. Level 3 buys Global Crossing in effort to create a networking giant. 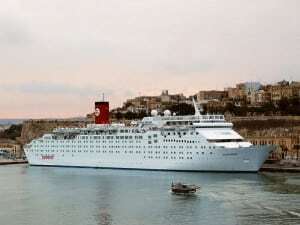 Maiden voyage of Ocean Star Pacific, first ship of the first national cruise line based in Mexico, to offer MTM satellite communications VSAT, crew calling, and Internet services. Qatar plans early 2013 launch of its high-powered communications satellite Es’Hail, being built under joint investment with Eutelsat. TerreStar GENUS satellite-enabled cellular smartphone provides expanded voice and data roaming coverage for mobile users. NSR Report “Broadband Satellite Markets” – VSAT networking and broadband access continue gains; a turning point for IP trunking. NSR Report “Global Satellite Manufacturing and Launch Markets” – 109 payloads were carried by 74 launch missions worldwide over the past 12 months, down from 2009 by 6.5%. Raytheon seeks new applications for System designed to communicate with deeply submerged swiftly moving submarines using satellites and underwater communications systems tied to buoys, since Navy has yet to come to decision on deployment. NSR upcoming – HTS and KA-SAT: “Changing the European Telecom Landscape” – An Interview with Eutelsat. 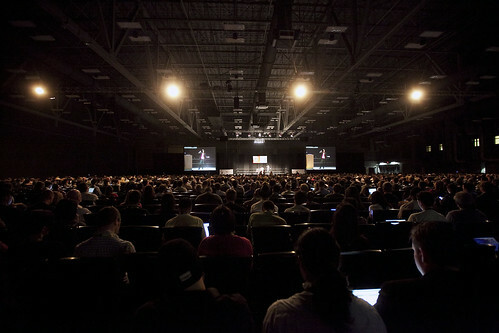 Who would dare compete for the attention of hip techies with SXSW in Austin? Quite a few, actually, and none of them are hip. There’s the Indiana Flower & Patio Show and the NASPA – Student Affairs Administrators in Higher Education annual conference in Philadelphia. There’s also the PITTCON Conference & Expo (laboratory science), International Summit & Exhibition on Health Facility Planning, Design & Construction and one in Seattle: the American Association of Collegiate Registrars and Admissions Officers. 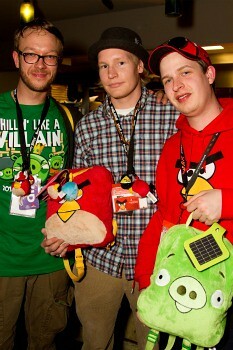 Wait, there’s one more: Satellite 2011. That’s right: satcom has yet to come across as being “hip.” OK, so investors may want to stick with traditional, risk-minimizing returns from the major player. That good for now. What about the future? Who will be making the decisions whether to use satellite technology in the future? There is an impending conflict between media distributors and media providers. New media is growing faster than traditional media. It is about carrying your content around with you. New media consumers want to do more than just consume available information. They want to create it. Five out of the 10 fastest growing websites have user-generated content. Very soon, 50 percent of the workforce will be Generation X and Generation Y. 2011 marks a new rubicon for our business. Traditional media connections are changing. The new model is an open model with a direct connection between the consumer and media. The concept of prime time is gone. Prime time is all the time. You have Google, Apple, Netflix, etc. TVs are becoming Web browsers. The revolution is global. The convergence of the TV and the PC is happening. Lastly, this generation that has grown up with this empowerment. If you don’t serve them what they want, you die (AOL and MySpace). Satellite must be ready to serve customers on the move. It has to be at the network’s core. This will require the industry to team up with new players. The launches are still months away but CNN Digital has a pair of announcements from SXSW tonight that mark significant advancements for the network’s online and mobile video offerings. In early summer, CNN plans to flip the switch on its version of Time (NYSE: TWX) Warner’s CEO Jeff Bewkes’ TV Everywhere, making it possible for subscribers of Comcast (NSDQ: CMCSA) Xfinity, Dish, Cox and Verizon FiOS to watch CNN live across platforms and devices. Other Turner Broadcasting networks, including TNT and TBS are likely to offer authenticated live streaming of linear channels at the same time. CNN also will launch a new video player taking full advantage of the native HD being used for nearly all its footage now, the first major update for CNN’s online video experience in three years. KC Estenson, SVP and GM of CNN.com, showed me the new player on multiple bank of screens during a practice session before I left Austin; the quality of the video being streamed over WiFi in 19:9 format to the large screen array doing double duty as a computer monitor was stunning. Equally important, the player is designed to work across platforms, including Google (NSDQ: GOOG) TV. 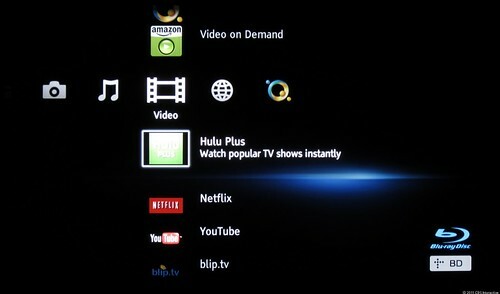 Eventually Estenson, who calls the new player a “quantum leap,” expects it be to be available through any internet-connected TV. In addition to various technical improvements, the player features a playlist that moves with the user from device to device. Start watching on a computer, switch to an iPhone or iPad, pick it up later on a connected TV and the player will know where the user left off and what is in the queue. One hitch: at launch, it will only work with internet access. Eventually, CNN hopes to make offline viewing possible. Estenson is striving for the quality of Vimeo, the serendipity of YouTube, the experience of Hulu and the portability of Netflix (NSDQ: NFLX). Meanwhile, back at satcom ranch, the most exciting news is SES signing with SpaceX for a Falcon-9 launch. That’s a good one, compared to other news surrounding Satellite 2011. How about on-site promotion? Have you ever seen anything resembling this at the satellite show? A Nokia N8 promotion in Austin. Why? Because they’re competing for relevancy and satcom should do likewise.